Read our snow page for more. 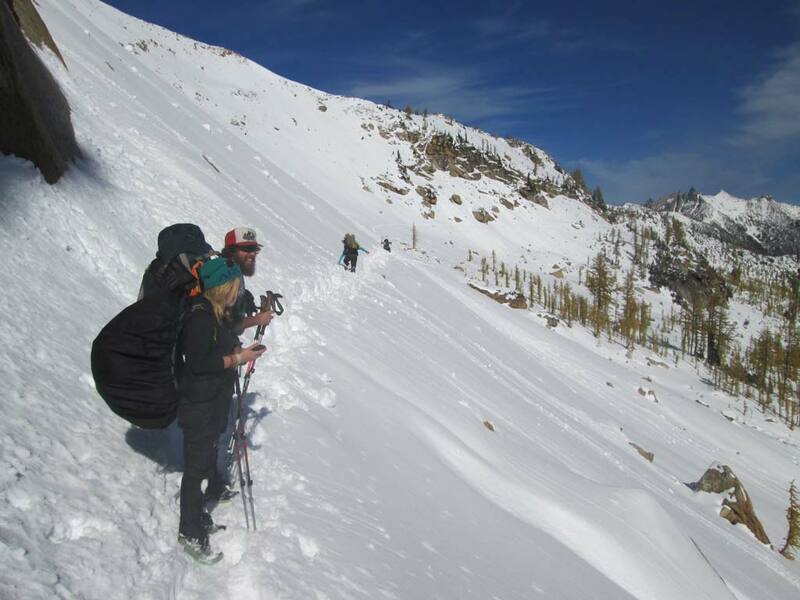 There is extensive knowledge, experience, and gear needed to safely travel on the PCT when snow covers the mountains. 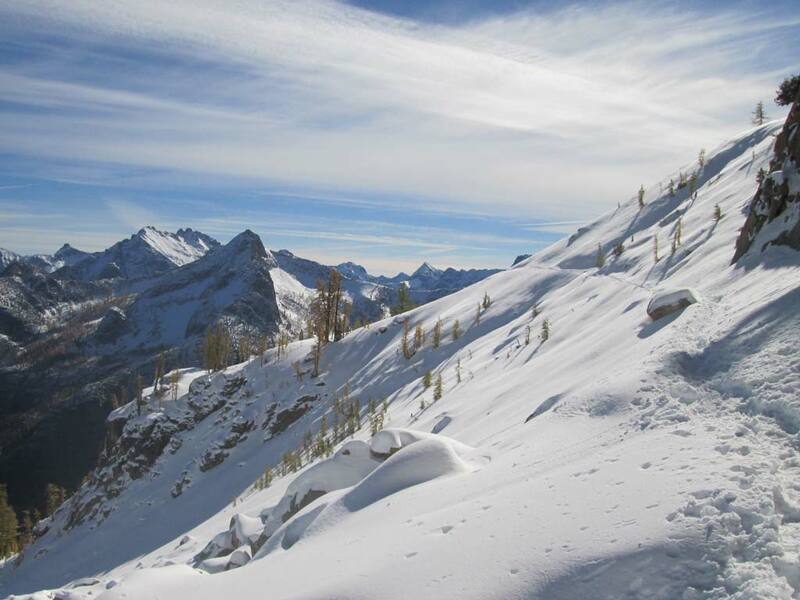 Having knowledge of avalanche terrain, alternate routes, strategies for keeping warm, dry, found and hydrated are key to safe backcountry travel. Avalanche risk can be assessed from multiple variables. Which direction is the slope facing? How steep is the slope? How much fresh snow or windblown snow is there? What is the base layer? Current temperature, wind speed, and direction? What is the difference in temperature on the ground and at the top of the snow? How is the human element (you and your group) increasing the danger? Being on or below a steep snow-covered slope means exposing yourself to potential avalanche risk. Avalanche danger is real. That’s why specific winter travel and avalanche preparedness skills are critical. It’s highly unwise to unknowingly expose yourself to this hidden danger. Avoid unnecessary hazards. Learn from friends, take an avalanche course and study up. And practice safe snow traveling skills. Snow can be fun, beautiful and dangerous. Photo by Carolyn Burkhart.